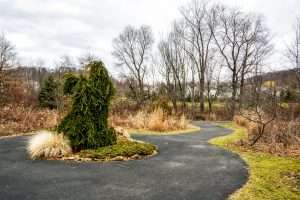 If you’re looking for a small, community-oriented area close to I-79 and Cranberry’s shopping, the Borough of Seven Fields in Butler County, Pennsylvania may be the right neighborhood for you. While the borough is just one square mile in size, it has a variety of available housing options including single family homes, townhomes, and condominiums. And it’s easy to get to know all of your neighbors—the population of the entire borough is only 2,900 people. 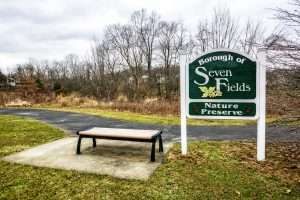 Seven Fields holds an A+ rating on niche.com and was rated as one of the best suburbs for millennials in Pennsylvania. The borough also ranked highly on the list of best places to buy a house in the state, with a median home cost of $302,900. This quaint community has two township parks, its own town park pool, community center, and sports fields. And for those who enjoy dining out, local restaurants include Table 86 by Hines Ward, Carlucci’s Pizza, and the Double Wide Grill. If you want to burn a few calories before you dig in to some sweets, Flour and Sugar Cakery and Brusters Ice Cream are walkable from anywhere within the community. Students attend Seneca Valley School District, ranked as one of the safest school districts in Pennsylvania and the best school district in Butler County. The district’s elementary, middle, and high school receive high marks across the board from niche.com and its school sports programs are among the most competitive in the region. Private schools within just a few miles of Seven Fields include St. Kilian Parish School and North Catholic High School. 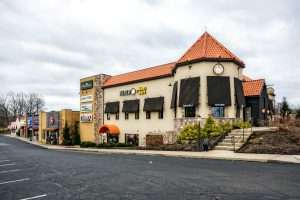 We love that Seven Fields has kept its small town feel—even though it’s surrounded on three sides by fast-growing Cranberry Township. Our real estate office is located in Seven Fields and is easily accessible to downtown Pittsburgh and all of the northern suburbs via Route 19 or I-79. 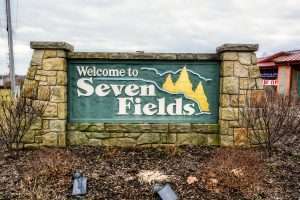 Get to know Seven Fields with us! If you’re looking for a home in the borough, contact us and we’ll work together to find the perfect home for you and your family.